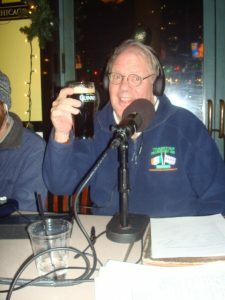 This freewheeling talk radio dialogue features Chicago’s own James “Skinny” Sheahan and Mike “Houli” Houlihan, two of Chicago’s most irreverent and irrepressible personalities. Discussing what’s happening in the city each week, the hosts dissect the news, politics, sports and entertainment scene with their trademark wit and a showcase a variety of community activists and neighborhood heroes. The heart of the show includes interviews with local leaders who are making a daily, positive impact in our community. Previous guests include Illinois Supreme Court Justice Anne Burke, State’s Attorney Anita Alvarez, Chicago Bear Israel Idonije, Soul Singer Otis Clay, Sam Sianis of The Billy Goat Tavern, Second City founder Joyce Sloane, Pulitzer Prize winning political cartoonist Jack Higgins, and roller derby queen Val Capone. “The Skinny & Houli Show” originally debuted on WNTD 950 AM last January and entertained Chicago until August when the station underwent a format change. Tune in to a show that will make you proud to be a Chicagoan.